Rice is such a fun textured and sensory way to play. 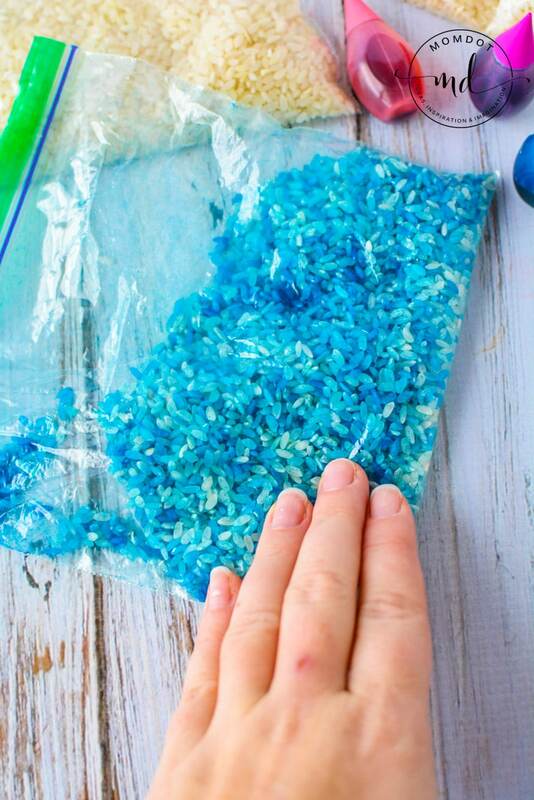 Learn how to dye rice that kids can enjoy or to be used as filler for vases and decor. 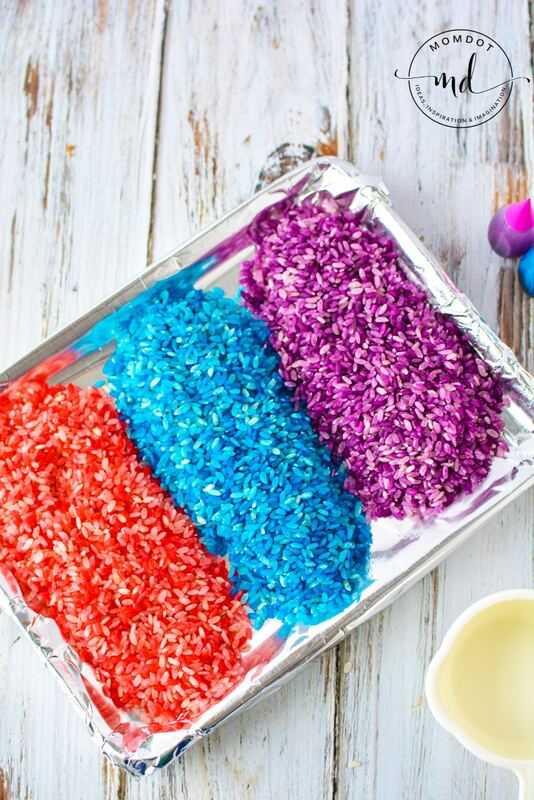 You can make a rainbow rice, galaxy rice or any number of color combinations without vinegar and its perfect for a sensory table . Making colored rice to store and display or for play is really fun and surprisingly easy. The key is to get the right color saturation and let your rice dry in full before any handling of it or you will end up dying your fingers. You will need to create inside a zipped bag to really move around the dye and keep your fingertips dye free. Of course MomDot loves fun messy recipes, so make sure you learn how to make slime, visit rainbow slime and unicorn poop slime, and create a batch of edible playdough. There is nothing more fun than getting your hands a bit dirty for a great Saturday afternoon. Place 1/2 cup of rice into a resealable sandwich bag. 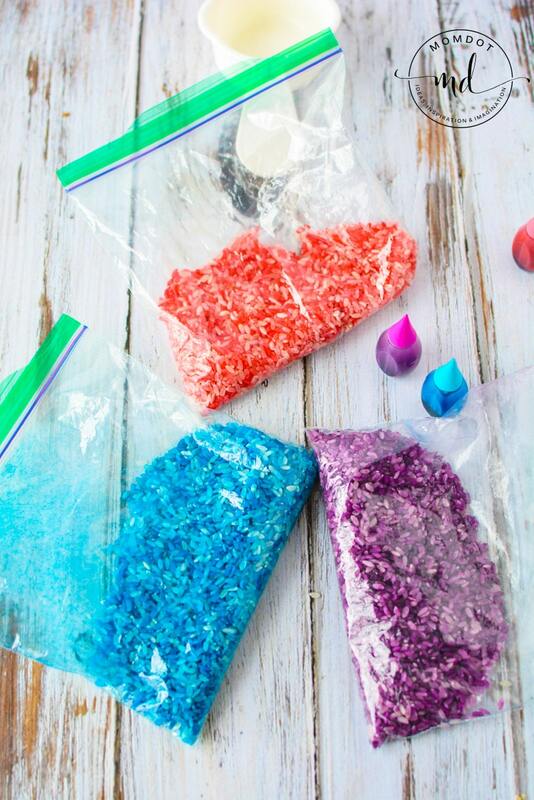 Add food coloring to rice and seal bag. Knead the rice and mix with your hands until completely coated. Dry your rice on a baking sheet lined with foil for about 1-2 hours, stirring ever 30 minutes so you can make sure that the rice on the bottom also gets dried. You can also set in the oven on a low setting or of course set outside in the sun. Just remember, if you play with wet rice you will get it on everything. Which might be fun until it dyes your floor, clothes, towels…haha. Now you can set your rice into a bin or Tupperware container if its play time. 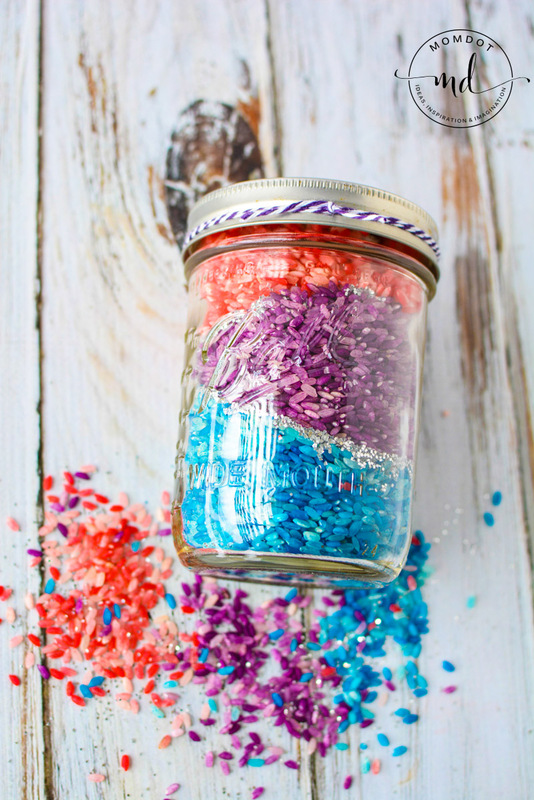 I love to store colored rice for decor on shelves and made this super cute galaxy rice jar. All you have to do is layer your rice and put glitter between the layers. It looks so pretty! Remember once the kids get a hold of it and mix the colors, it will become rainbow rice, so you may want to make extra and store in separate containers if they love to mix and match.